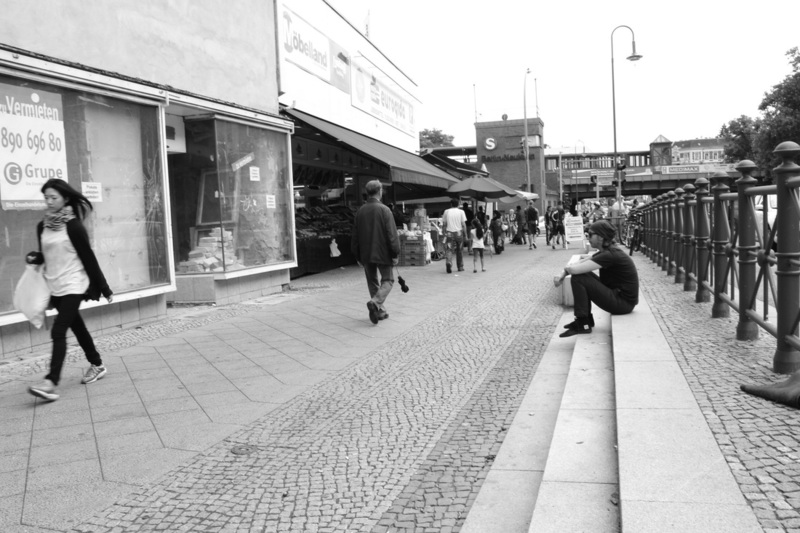 Halász uses the streets of Berlin as a stage for her reenactment of Adrian Piper's 1975 performance The Mythic Being. The re-enactment Cruising Black Women followed an intensive two-day workshop entitled 'Man-For-A-Day', run by the performance artist and drag king impersonator Diane Torr. The re-enactment tells a complicated story about the boundaries of visible identities, the negotiation and transgression of identity and the processes of identification, and the exploration of a liminal space, where one can be both self and other, simultaneously. Katalin Halász is a writer and artist researcher based in London and Berlin. She has written extensively on racism, minority and women rights, and equality. She also uses film, installation, and performance to explore embodied concepts of race, gender, and sexuality. Her artistic work revolves around the use of boundary-crossing strategies and the workings of affect and emotions in the performance of the everyday and in visual art practices. She is currently working on a practice-led PhD in visual sociology at Goldsmiths College, University of London and is a fellow at InterArt, Free University, Berlin. Her recent works include Rewolucja, an award winning experimental short film (2011); Freeing Up Shame, a risk-taking participatory performance first staged in Brazil in 2012; The Blush Machine, a multimedia performance installation shown in Bolivia in 2013; and the curatorial project Visualising Affect (2013).